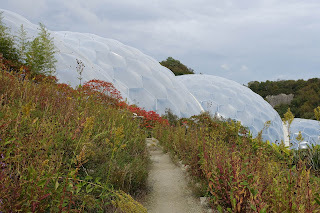 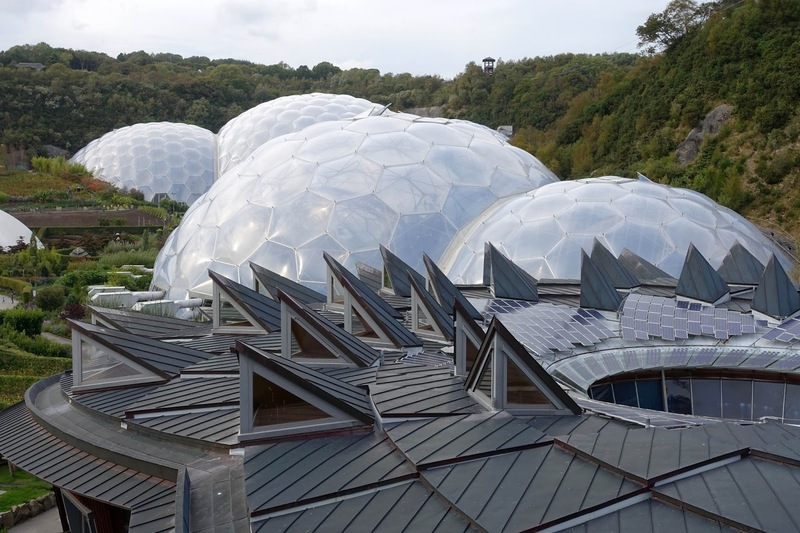 The Eden Project is built in the bottom of an old clay pit. 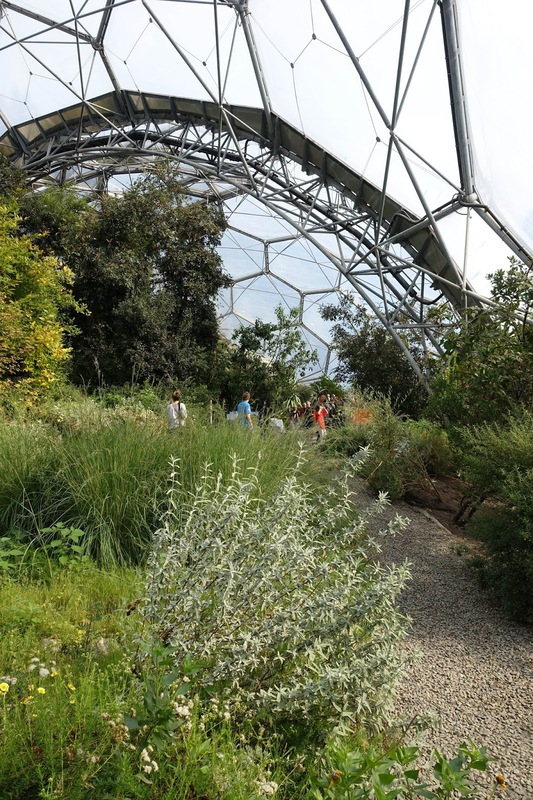 In 1998 they began the project in a crater that had no soil or plants. Today the transformation is amazing. 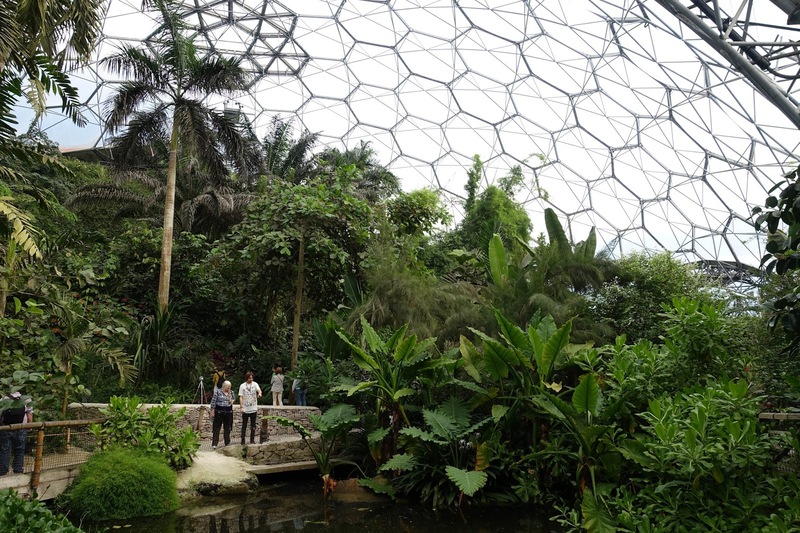 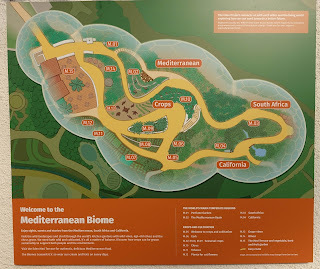 There are two giant biomes, the Rainforest biome and the Mediterranean biome. The rest of the crater is a huge lush garden. The project is amazing. 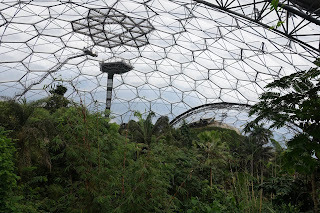 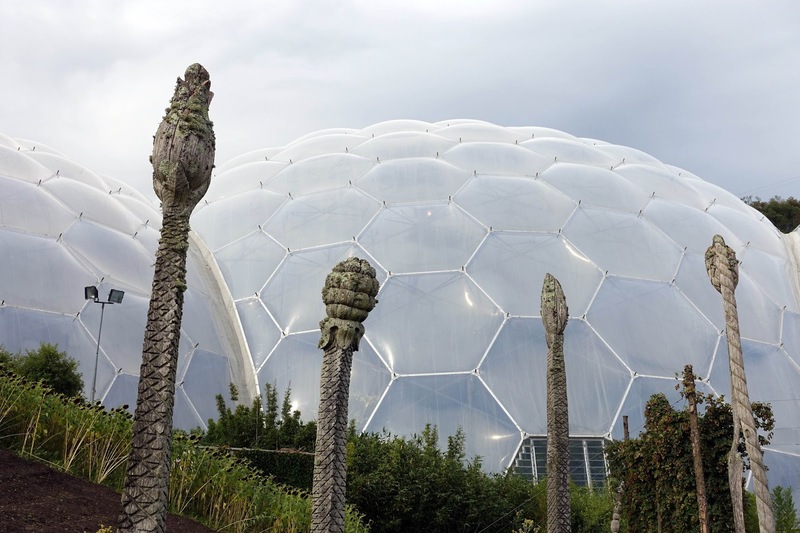 The Eden Project - A view of the Rainforest Biome , the Mediterranean Biome, and the Core. The Mediterranean Biome has 4 planting areas - Mediterranean, South Africa, California, and Crops. The day we were there they were filming an episode of Deal or No Deal, the British version. 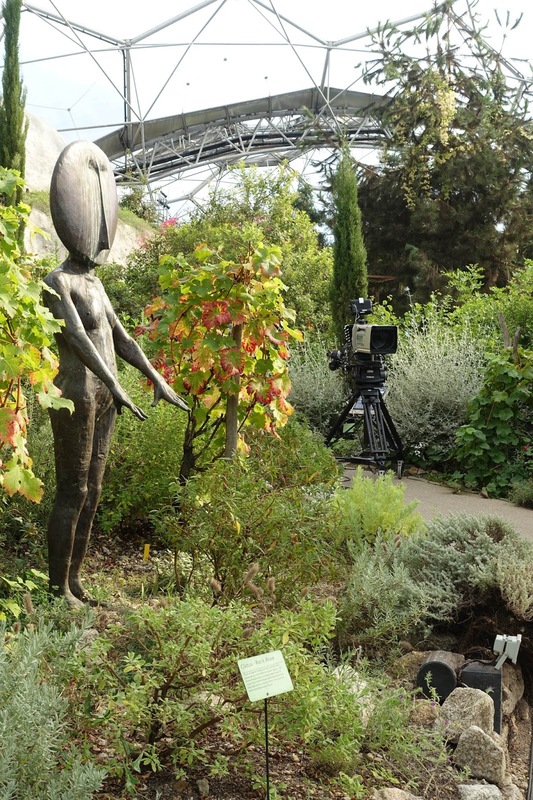 Notice the TV camera in the middle of the photo. 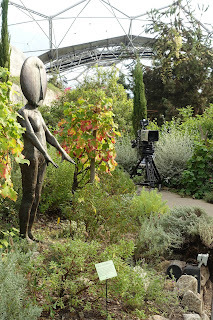 There were cameras, cables and people everywhere. 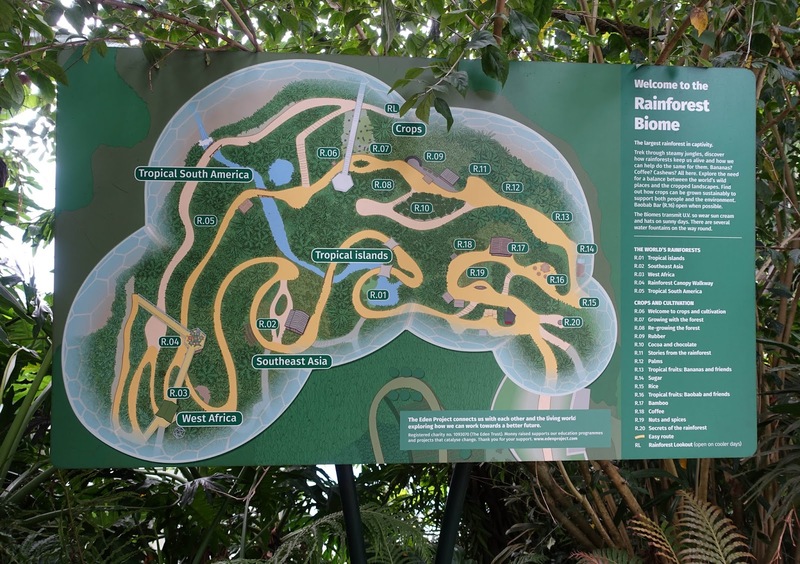 The Rainforest Biome has 5 planting areas - Tropical Islands, Sourthest Asia, West Africa, Tropical South America, and Crops.This biome is huge. 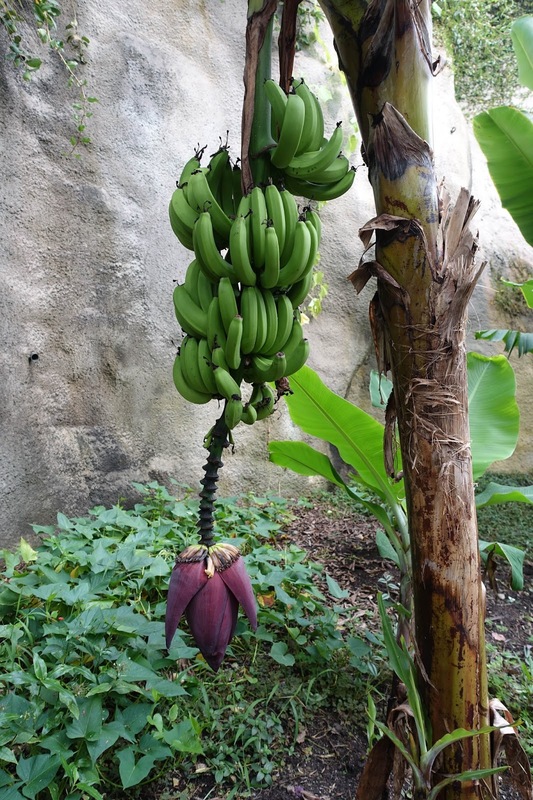 When you enter the humidity and temperature is comfortable. As you climb higher and higher through the different planting regions the humidity and temperature climb higher and higher. 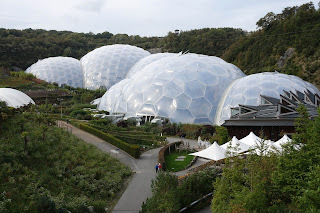 They have cool houses you can enter to cool off before continuing on. 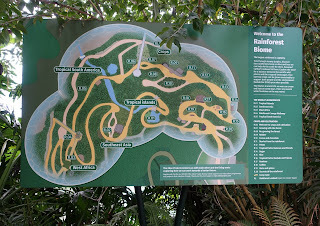 The Tropical Island area of the Rainforest Biome. 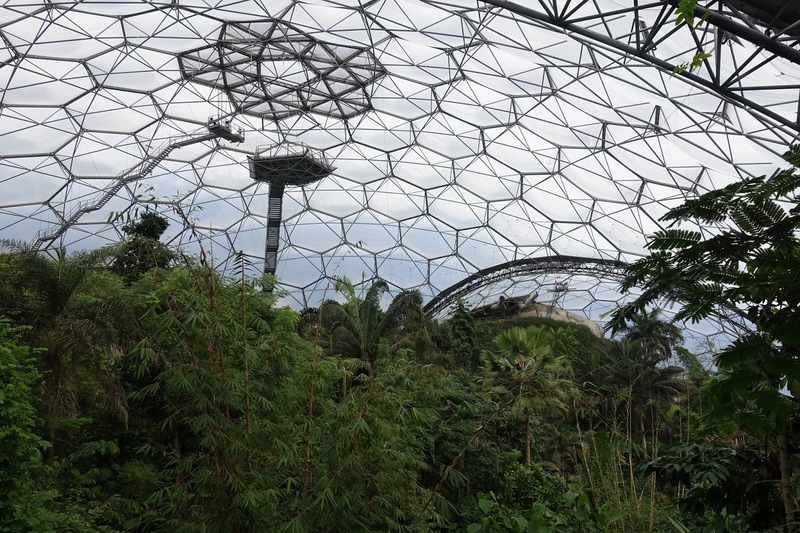 View of inside the Rainforest Biome from the treetop walkway. Bananas in the Crop area. 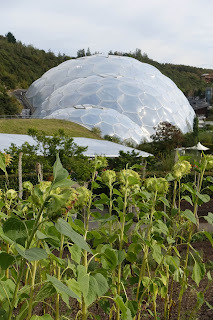 The Core with the biomes in the background. 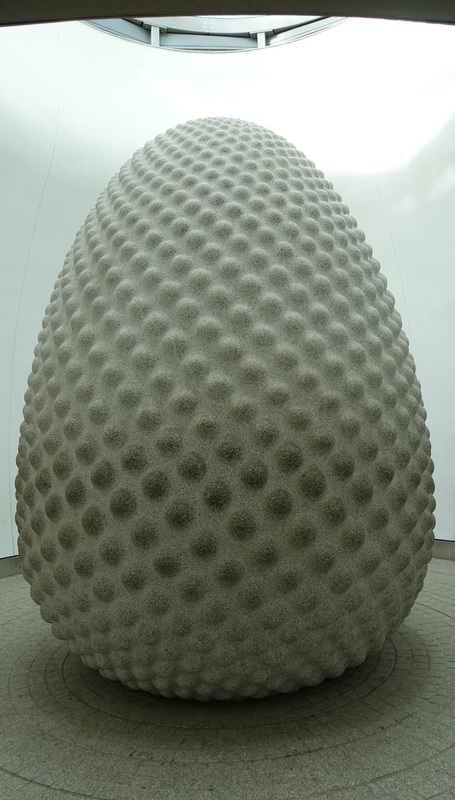 Inside the center of the Core is the Seed sculpture. 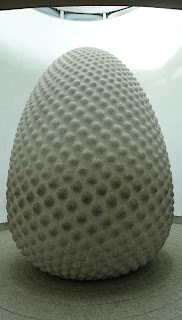 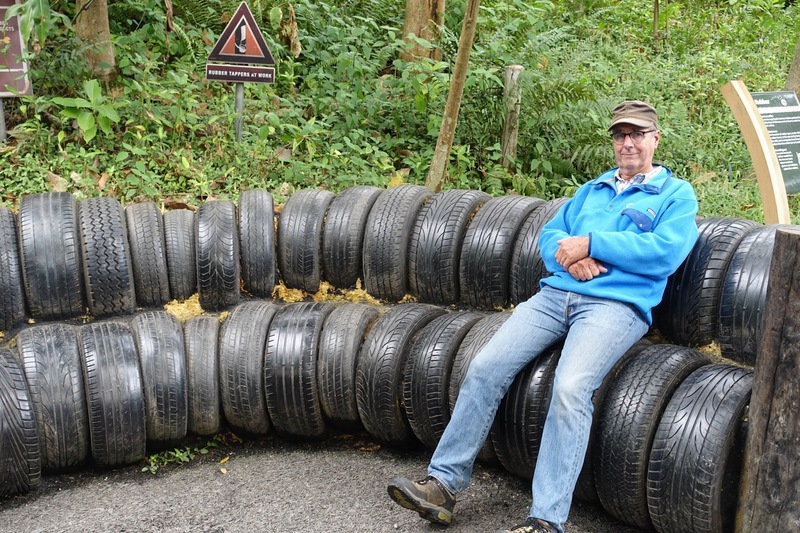 It is solid granite and weighs 75 tons. 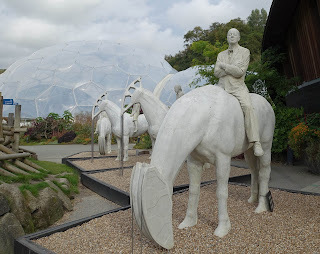 Giant horse sculpture called The Rising Tide.